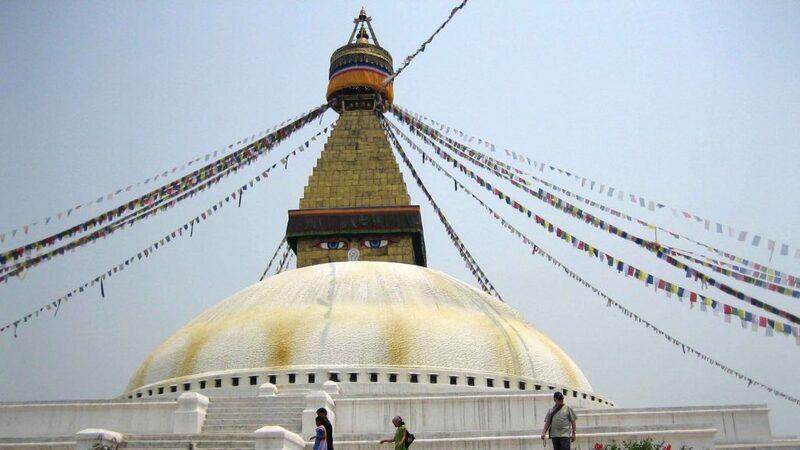 Kathmandu Pokhara Lumbini Tour - FIRST ENVIRONMENTAL TREKKING Pvt. Ltd.
FIRST ENVIRONMENTAL TREKKING Pvt. Ltd.
Nepal is considered a holy place for all Buddhist religion followers as it is the birthplace of Lord Buddha. The pinnacle of the Buddhist religion, Lord Buddha was born in Lumbini, present-day Kapilvastu in Nepal. 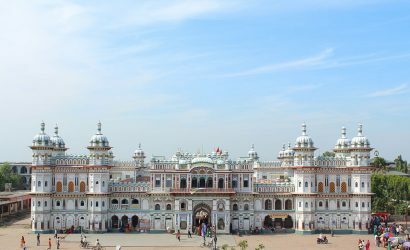 This tour revolves around the birthplace of Gautam Buddha, Lumbini along with visiting the World Peace Pagoda in Pokhara as well as monasteries in Kathmandu and Lumbini. This package includes all the major holy places for Buddhist religion followers as they take a tour of all the major important places of Buddhist religion in Nepal. Starting from Kathmandu we drive to Pokhara and eventually to Lumbini to witness the peaceful world heritage area, along with the birthplace of Lord Buddha. 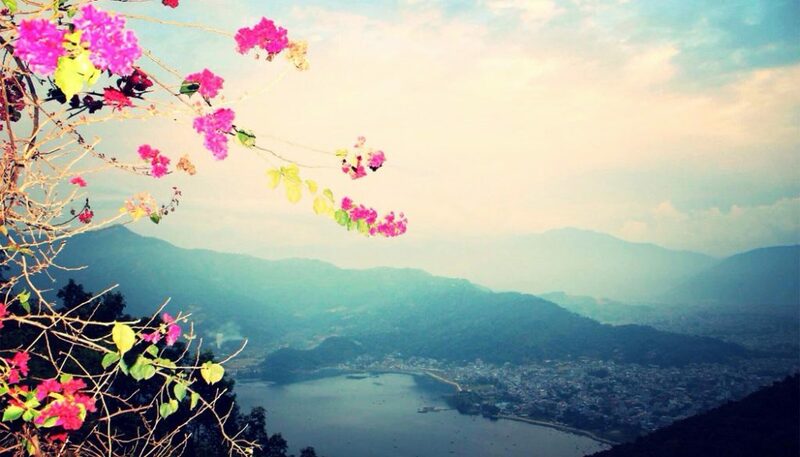 Sightseeing around Pokhara, arguably one of the most beautiful cities in the country. The pickup service will be provided by one of our staff at the arrival who will be holding our company’s placard outside the arrival gate. You will be taken to our accommodating hotel which will be a minimum of 3- or 4-star category and arguably the finest in its category. You can either take a rest or take a short sightseeing around the city. In the evening you will be greeted by a very warm welcome dinner fully sponsored by the company in one of the finest restaurants of your choice. Take a rest for the evening and make yourself comfortable in your first night in Nepal. Take a sightseeing tour to Boudhanath & visit the local monasteries within the Little Tibet & visit the world famous Kapan Gumba. We take a visit to Boudhanath, also known as “Little Tibet”, for its ancient cultural and spiritual importance. You will witness the holy pilgrimage for Buddhist religion followers. Take a short sightseeing around Boudhanath area which consists of several other important monasteries that give you a peaceful feeling. After the Boudhanath area, we head towards Kapan Monastery, another important & holy Buddhist pilgrimage. Situated just outside the main city in the suburbs of Kapan, the Kapan monastery offers a peaceful view of the city with a great view of the depiction of Buddhist culture. There is also a nunnery nearby the main monastery, known as the Khachoe Ghakyil Ling Nunnery, home to about 400 nuns. After spending some time in Kapan Monastery, head back to hotel. Overnight in Kathmandu. After having breakfast, we head towards Swayambhunath. Swayambhunath area, one of the holy places famous for its religious and spiritual importance not only among Buddhist religion followers but also among other communities, has a special religious importance. The ancient and magnificent shrines along with pagoda structures are sure to amaze you with their beauty. After taking the sightseeing tour within the Swayambhunath area, we head towards Pokhara. The scenic capital of Nepal, Pokhara is 200 km from Kathmandu and is usually a 6 hours’ drive. You can either take a rest and take your day off or go around the city exploring the beauty of Pokhara while strolling around the lakeside area. Stay overnight in Pokhara in our hotel which is also a minimum of 3-4 star category. Pokhara is quite a famous city in the world for its scenic beauty and the peaceful surrounding. The city which resides at the shore of Fewa Lake has several places you do not want to miss out. We take a tour to world peace pagoda, a peaceful and pagoda style Buddhist shrine famous for its religious importance. On the way to the peace pagoda, we also pay our visit to Barahi temple, situated on an island in Fewa Lake. 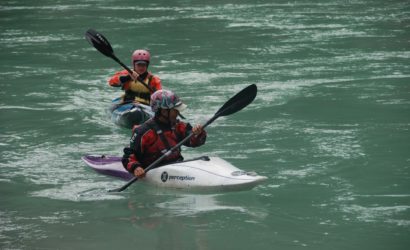 After the peace pagoda, we visit other important places in Pokhara, including the Mountaineering Museum which holds some ancient as well as modern instruments along with some rare photographs & information regarding mountaineering of Nepal. After that we head towards Malepatan Gomba at Malepatan. Then we make another hike to Hyangja, the site for Tibetan refugee camp who fled Tibet after the Cultural Revolution in China. After exploring these beautiful places around Pokhara city we put an end to our day & return back to our cozy hotel. Stay overnight in hotel. We leave Pokhara for Lumbini today. The 290 km drive usually takes another 6-7 hours. Leaving the beautiful Mountains of Pokhara behind, we head towards the flat Terai land of Lumbini. 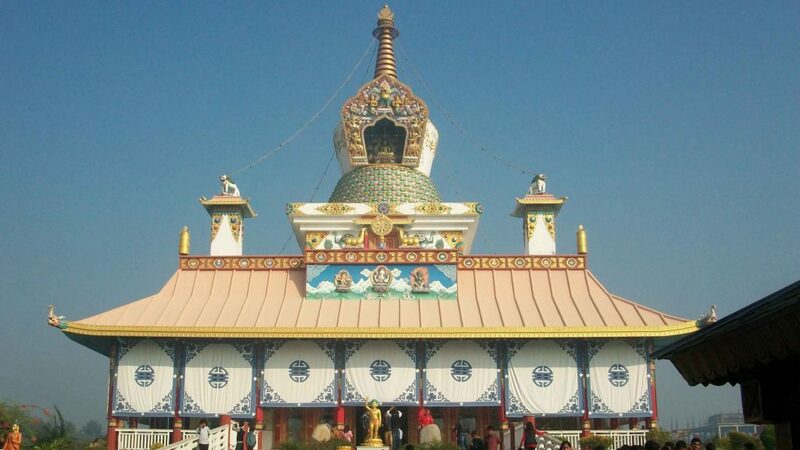 Lumbini, the Holy land of Buddhists, awaits you with its spiritual & religious importance. We can usually get there by sunset. If you’re not tired enough you can take a stroll around the local market to see things. Stay overnight at our hotel. Lumbini is regarded as the holiest place for Buddhist religion followers all around the world. Being the birthplace of Lord Buddha, it holds a special and respected place inside everyone’s heart. We enter the Lumbini heritage area, which is also listed in the UNESCO world heritage site. The beautiful and majestic monasteries set up by different countries inside the site are really breathtaking. You are sure to be fascinated by the beauty and peaceful surrounding totally able to calm your mind down. We take enough time to see around Mayadevi temple, Ashoka pillar, along with the exact birthstone of Lord Buddha which is preserved safely inside the Mayadevi Temple. Other special places include the eternal flame, Lumbini Museum, which beholds some of the antiques from the period of ancient Lumbini. The meditation centers run by Buddhist monks inside the heritage area are also quite a place to visit. You can involve yourself in for some hours or sessions which are sure to settle down your mind. You can wander around the site either on a bicycle or a jeep according to your choice. The plentiful of sites are sure to leave you with thousands of pleasant images inside your mind. After a day well spent in Lumbini, we return back to our hotel. Stay Overnight relaxed. 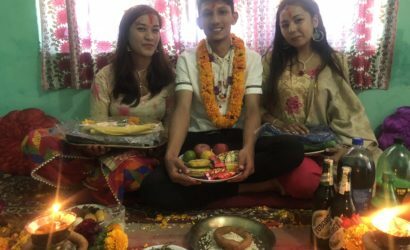 This marks the completion of our Buddhist cultural heritage tour with Pokhara. After the successful completion of our tour, we head back to Kathmandu. 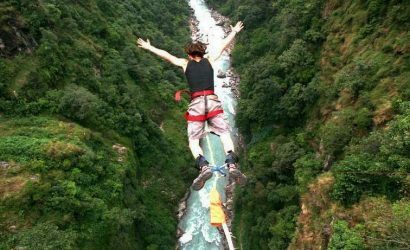 About 7-8 hours road safari along the banks of Narayani & Trishuli River. You check-in in our hotel and have rest for some time. In the evening you will be served with a farewell dinner by the company in one of the finest restaurants to mark the completion of your tour. Stay overnight in Kathmandu. Accommodation in Hotel in Lumbini with BB basis. 3 night hotel accommodation in Kathmandu. © Copyright 2019 FIRST ENVIRONMENTAL TREKKING Pvt. Ltd..